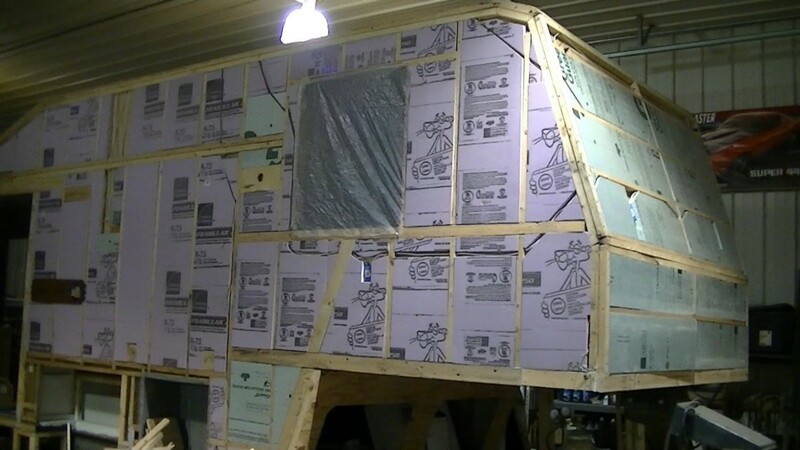 RV insulation is an important but often overlooked aspect of RV shopping. It’s what keeps the cool air in during the hotter months and what keeps it out during the cooler months; the right insulation can ensure that your family is comfortable no matter what climate you may find yourself adventuring into. You want an insulation that is suited for the humidity level of your favorite destinations, capable of keeping out the coldest breezes when in unfamiliar territory, and be as long-lasting as possible. So, what do you look for in RV insulation? Which RV insulation is best? Are there different types? What are the pros and cons to each, if any? RV insulation is key to keeping your trailer just the right temperature. All RV insulation has a specific R-value, which is an official rating for thermal resistance. Basically, the R-value is how well insulated an RV’s walls are. That R-value is based on the type of insulation that is in the walls of your RV. The higher the R-value, the more thermal resistant your RV walls will be. Find out more about R-values in insulation with this helpful site. 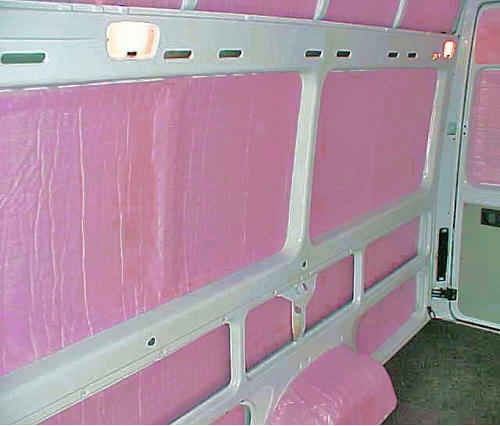 Insulation comes in two major types used in RVs, both with different R-value ratings. These primary types are fiberglass insulation and foam insulation, though foam insulation comes in multiple forms. Each of these has its pros and cons, and it really depends on the type of RVing you plan on doing and the type of weather you plan on frequenting. Check out our complete overview of each type to help you determine which may be the best fit for your RV. Fiberglass insulation is the standard. It comes in most RVs right out of the factory, and for good reason. Fiberglass insulation is one of the best for maintaining temperature consistency, even in the face of extreme external weather. In other words, it’s the tried-and-true method of RV insulation. 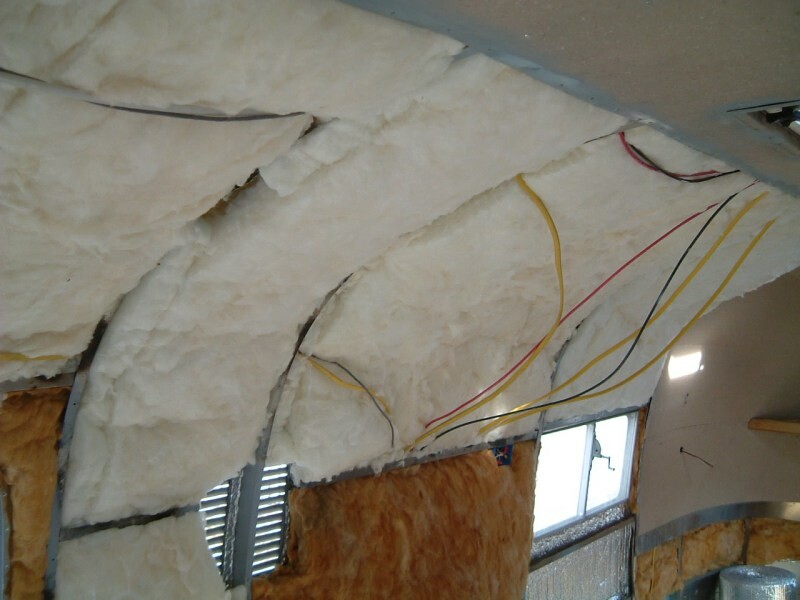 Fiberglass insulation is the most common type of RV insulation. This does not mean that it is the best, however. Though its higher R-value insulation rating is desirable for RVers who spend time in hotter or colder temperature zones, fiberglass insulation has the notorious drawback of having a much shorter lifespan than other forms of insulation. As moisture gets into the insulation, it begins to expands, reducing the R-value over time and causing the insulation to be less effective. Also, because it is subject to moisture saturation over time, the insulation can also mold, giving the RV a musty smell and potentially having unhealthy side effects to those who spend too much time in the confines of the RV. It is for this reason that fiberglass insulation, the standard, is certainly not the best for those who take their RV to areas of differing temperatures on a regular basis. With RVing in changing climates, the moisture saturation of the insulation is expedited, making the process of reducing its R-value and potentially causing mold to accumulate in the walls faster. Foam insulation comes in two major types, both having different styles and functions. These two forms are rigid foam and spray foam. Check out more below. See more of the differences between foam and fiberglass with this guide. Rigid foam insulation comes in boards of varying thickness and can be cut to accommodate any space. Rigid foam has to be inserted into the walls in solid sheets to maximize its effectiveness and fastened firmly to the studs in the walls of the RV so that no airflow can get through it. Rigid foam insulation is moisture resistant and durable. Though it has a mid-ranged, versatile R-value, installation can be difficult and may require additional tools – caulk, industrial tape – if you are doing it yourself. There are not many RVs that come with rigid foam installed, so it often has to be a DIY project, if you want the longevity of rigid foam. Spray foam insulation has a similar R-value to rigid foam, but is known for its simpler method of installation, though it is not simple enough to not need professional consultation if you are a novice to insulation. Spray foam is loaded in an applicator and then sprayed directly into the walls of your RV where other insulation would go. It requires no tape, no caulk, no fasteners; only the applicator and safety gear (and a little know-how). Spray foam insulation is cheap and easy to apply. Spray foam seals the walls as long as it is distributed evenly and thoroughly to all areas inside the walls. The spray foam bonds tightly together with itself, creating an airtight barrier for temperature, moisture, and even some noise. However, it has a lower R-value than many forms of insulation, making its ease of application a double-edged sword. If you plan on spending time in hot climates or very cold climates, the insulation may not provide the temperature barrier that you would prefer. 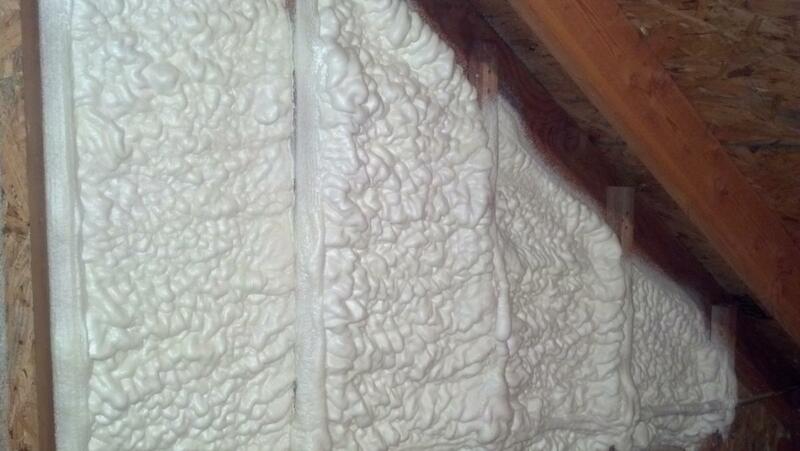 Spray foam insulation might be right for your RVing preferences. Check out more information about spray foam insulation here. 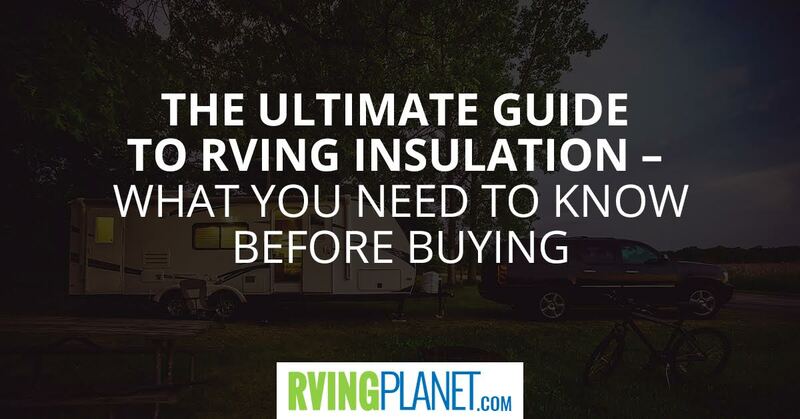 Which RV Insulation is Right For You? It really depends on what your goals are as an RVer. There is no one to say which is the “right” kind of insulation because it all comes down to what is most important to you. Do you want your RV to be less insulated, but more impervious to moisture? Will you stay primarily in one climate when you are RVing? Are you alright with large DIY projects on your current or future RV that may require you to remove the siding? Find out more questions to ask by learning more about the science behind insulation. When shopping for an RV, you can always find out the type of insulation being used and, in many cases, RV manufacturers and dealers will even advertise their R-values in the specs section of their sites. This means that you can pick out an RV with consideration to the type of insulation currently installed. Learn more about RV insulation and installation practices here. Are you looking for more information to help you make the most informed decision when purchasing a new RV? 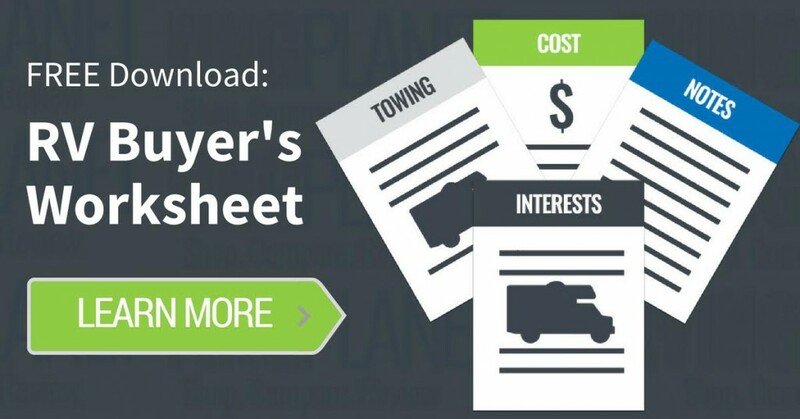 We have some fantastic resources to make you as informed as you like on a variety of useful subjects both when it comes to purchasing an RV as well as taking care of your RV for years after you’ve bought it. The Ultimate Guide to RV Construction — Which Materials are Best? Ready to start your adventure as an RVer or “buy up” with a brand new RV? It all starts with a stellar shopping experience! You want one that has the right insulation for your style of road tripping so that you and your family are as comfortable as possible, no matter what the road throws at you. Need a good place to start? Choose which type or brand you are looking for and explore your choices! Check out the hundreds of options listed here: shop RVs. 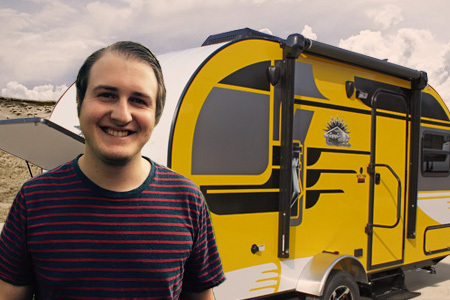 Cameron is an RV Writing Enthusiast who has been camping and RVing for years. He has always loved the smell of campfire smoke and taking long hikes through some of the country’s most beautiful landscapes. Whether it’s jet skiing on the lake, kayaking down a river, or just relaxing beneath a shady tree and reading a book, he’s often found in the great outdoors enjoying good friends, food, family, and, of course, a good, crackling fire.